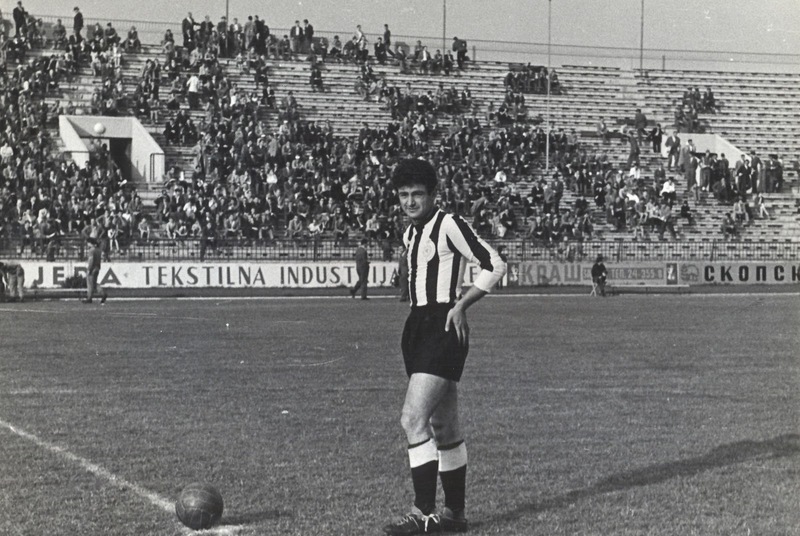 In 1968, the first match of the tournament, between Italy and the SSSR, hadn’t a scorer, because the teams ended 0-0 and the finalist was decided by a coin toss! It was Italy, the home side which will face in the last act Yugoslavia. The Serbs lost the final from 1960 and they will repeat the sad story once again. But first, they put out England in the semis, after a late goal scored by Dragan Dzajic in the 87th minute of the match ended 1-0. That was a shocker, as the Englishmen were World Champions in activity. And yes, this was the first goal of the competition from the left wing of Red Star Beograd. The player also scored in the final, but it ended 1-1 against Italy. So the match had to be replayed. And it was, but this time the hosts did not make any mistake and won the trophy after 2-0. In fact, Dzajic scored all the goals of his team in the tournament. One with only three matches. 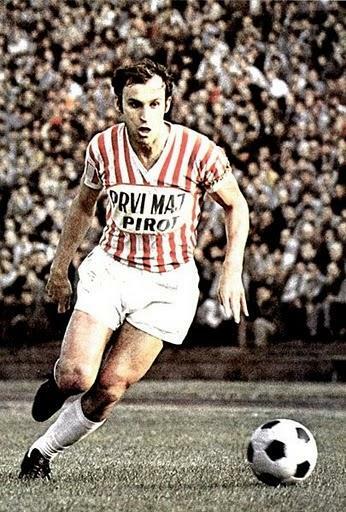 If Galic is known to be one of the best scorers for Yugoslavia, Dragan is one of the most capped as he gathered 85 international matches and 23 goals during 14 years, from 1964 to 1978. Only Milosevic and Stankovic, with 102 games a peace, are better ranked. 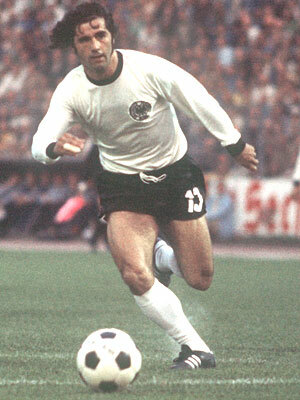 And his debut came in June 1964 in a defeat over Romania, with 2-1, one home soil, at Beograd. 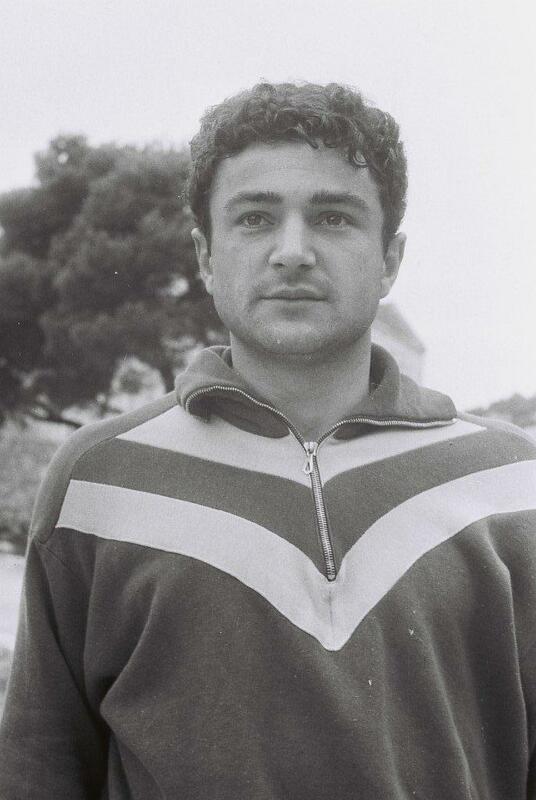 Besides the European Championship from 1968, Dzajic also appeared at a World Cup. 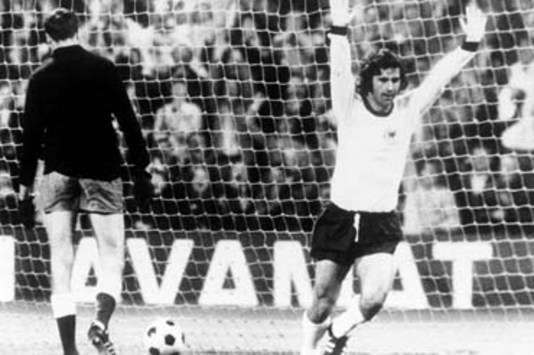 The one from Germany in 1974. 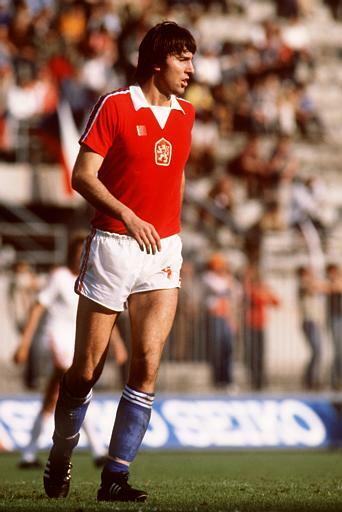 Yugoslavia qualified from the first phase after two draws 0-0 with Brazil and 1-1 with Scotland but also after a record win, 9-0, over Zaire, a match in which Dragan put in a goal. After two more years, the player participated with his national side at another European Championship, this time hosted by themselves. 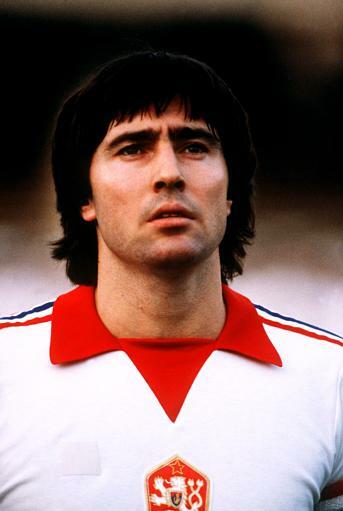 Dzajic scored twice, but Yugoslavia lost both matches, both after extra time and so finished only fourth. By that time, he was playing for Red Star Beograd, a team at which he wrote history and he is considered one of the greatest players from all time. 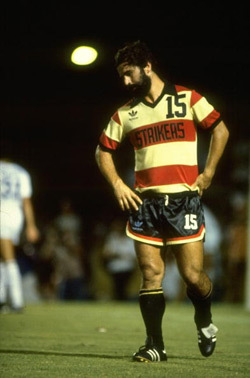 No wonder, if we find out that he played here during 15 seasons, from 1961 to 1975 and from 1977-1978. Only a short spell of two years at Bastia in France, forbid him to have de status of a one-club man. 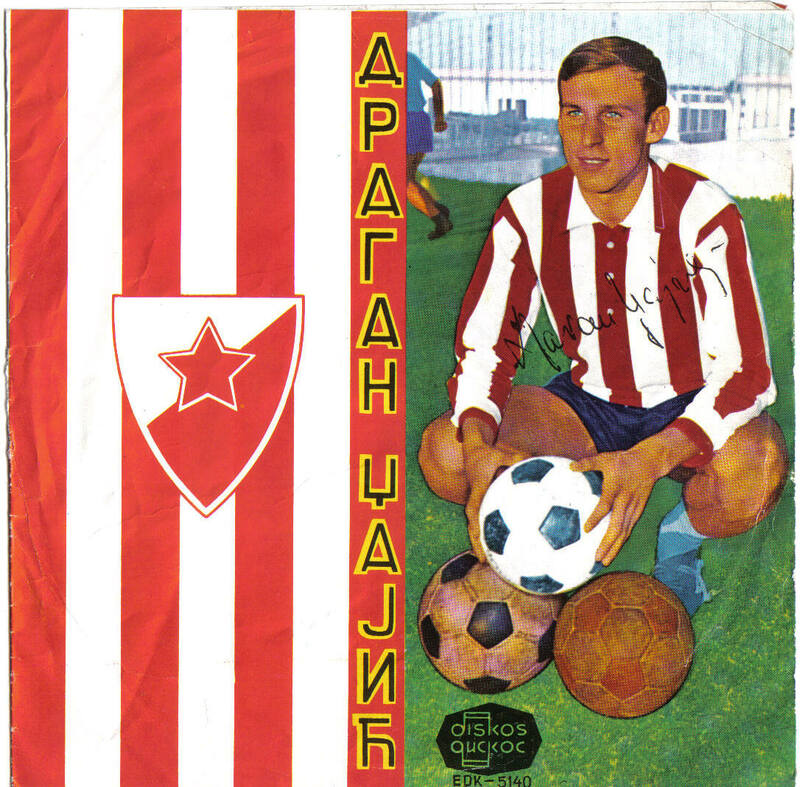 For Red Star he played more than 600 official matches and scored over 300 goals. He’s performances helped a lot the squad to win 10 titles: 5 Yugoslav Championships (1964, 1968, 1969, 1970 and 1973), 4 Yugoslav Cups (1964, 1968, 1970 and 1971) – making three doubles and a Mitropa Cup in 1968. 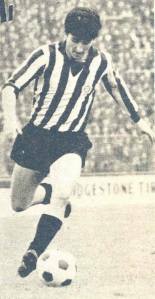 In 1971, he was very close to play the European Champions’ Cup final, after a 4-1 win over Panathinaikos on home soil, in the semis. But Dzajic, one of the key players from that encounter missed the second leg do to suspension and so the Greeks won 3-0 and qualified on away goal. 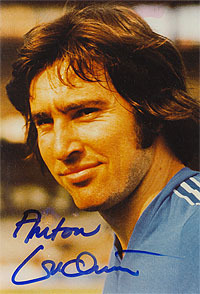 Born on 30th of May 1946 in Ub, he left his native country at the age of 29, to join Bastia. Here, he impressed with 31 goals in 56 league games played in two seasons and despite remaining one of the best players from the history of the club, he didn’t manage to win any trophy with the team from Corsica. 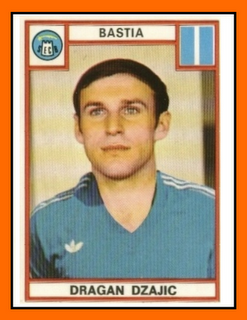 Foto: oldschoolpanini.com, faniq.com, beliolrovi.rs, rankopedia.com. 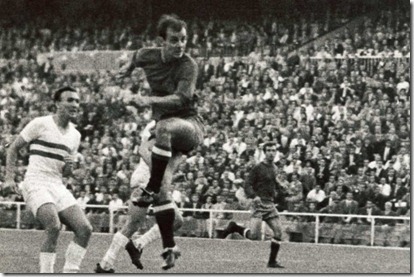 In 1964, Spain won his first European title, on home soil, after defeating SSSR, the active champion, in the final, with 2-1. The first goal was put in by Jesus Maria Pereda in the sixth minute. But the same midfielder also scored the opener of the tournament, in the semifinal against Hungary, match which Spain also won with 2-1 on 17th of June, even though after extra time. I’m sure that this name doesn’t sound very familiar, but it had a lot of great stories behind him. 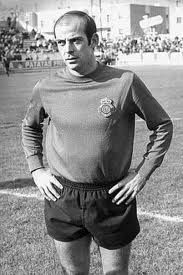 Born on 15th of June 1938 in the Basque Country, Pereda made his senior debut in La Liga under the shirt of Real Madrid in 1958, a team which was dominating European football by that time, after four consecutive European Champions’ Cup trophies won. He didn’t played but two games, but that was enough to help him score once, in a 3-0 win over Real Zaragoza. 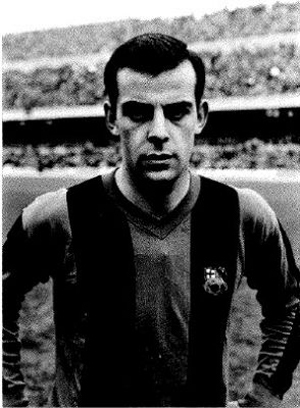 Loaned to Valladolid and then sold to Sevilla, in 1961 he joined FC Barcelona, team from which he wouldn’t leave until 1969. So, eight seasons in ‘blau-grana’ and despite the squad wasn’t the powerful one from our days, he manage to win here two Spanish Cups (1963 and 1968) and one Inter Cities Fairs Cup, the unofficial ancestor of the Europe League, in 1966. 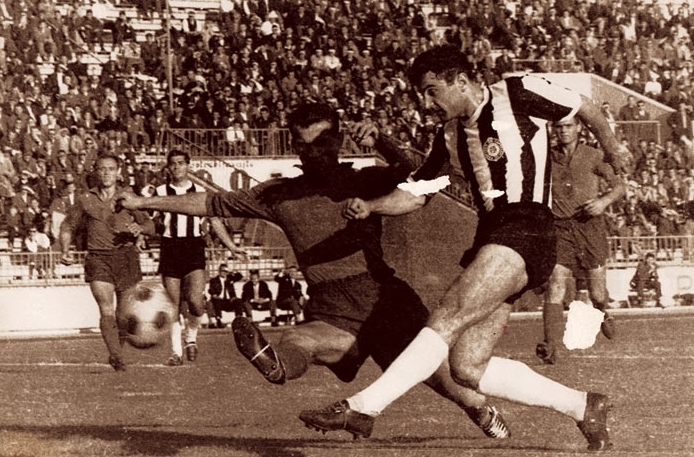 In eight years he appeared for Barcelona in 293 official games and scored 107 goals but he wasn’t a main man for the national team all though he had massive contribution to the European title won in 1964. His debut came in 1960, in a friendly won with 3-0 against England. By then he was playing at Sevilla. 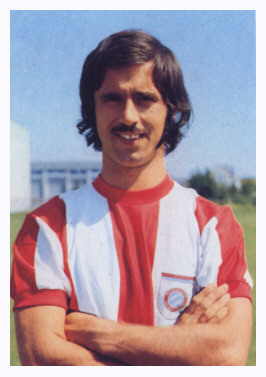 Pereda did remain eight years in touch with the national side, but won only 15 caps and six goals, including those achieved in the summer of 1964. His best match for his country took place on 27th of October 1965 in a World Cup qualifier against Ireland, which Spain won at home, with 4-1 and three of the goals were the work of Jesus Maria, nicknamed ‘Chus’. Pereda ended his career at 34 years, after two last seasons under the colors of Real Mallorca, a second tier team in that period. After retirement he started working as a youth coach for Catalonia national team and after 2 years, in 1976, he took over the ones from Spain and never let them go until 1992! 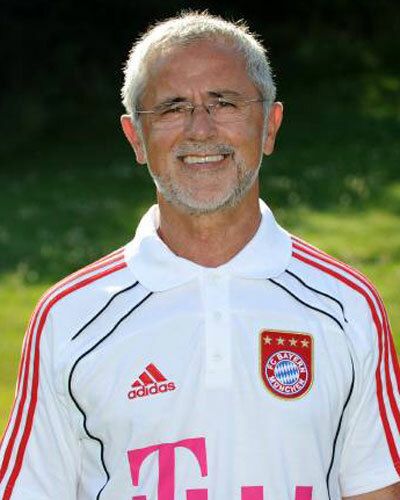 He coached the U16, U17, U18, U19, U20 and the U21 national teams from Spain! After a break of four seasons he chose to try also an experience of head coach of a club team. During the 1995-1996 campaign he led Xerez to a mediocre 11th spot in the third level. That was it. 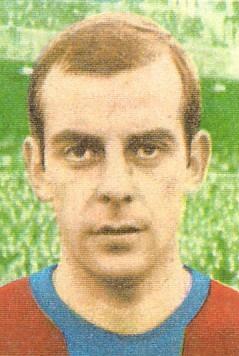 Unfortunately, Pereda died in 2011, because of cancer, at the age of 73. Almost a year passed since Porto won the UEFA Europe League, but I can’t forget this episode, because one player impressed me so much. Naturally, he’s Romanian and his name is well known by all football lovers from our country: Cristian Săpunaru. Yes, I wrote about Cristi before, but I feel the need to do it again. In such cases, all players are very euphoric and may forget to do many things and concentrate only to celebrate the success in the the best way they can. But Săpunaru isn’t like that. After the referee whistle blew and Porto was crowned champion, the defender got quickly three things: a Romanian flag, a message for Mihai Neşu and a cherry foulard tight to his arm, of his beloved team, Rapid Bucharest. It the first two looked quite naturally, the last one was the supreme proof that Cristi thinks of Rapid every time and everywhere. Some ignorant people said that this was gesture of lack of respect for FC Porto, but only true supporters of Rapid could accept and understand the cherry foulard from around Săpunaru’s arm. 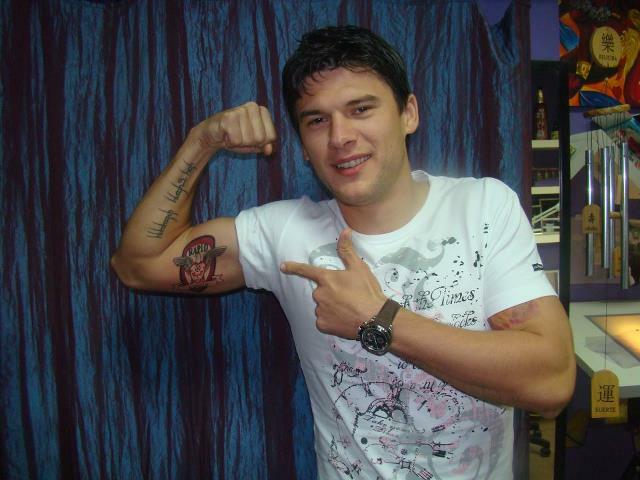 Cristi spent his childhood in the center of Bucharest, where he was born and his first senior side was FC National. 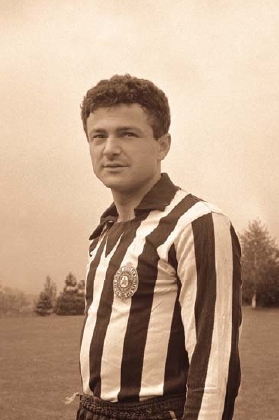 For this team he also debuted in the first league, but he still went in the Giulesti’s north kop to watch Rapid’s matches, whenever his schedule permitted. Finally, in 2006 his dream came true, and at 22 years he signed a contract with Rapid. He won a cup and a super cup in 2007 and a year after he scored the winning goal against Steaua, in a 1-0 victory on Giulesti Stadium. His value was increasing so an unexpected 6 million euro offer from Porto arrived. After only two years, Săpunaru left Rapid. He played well in some matches in Portugal, but didn’t impose as a starter in the first line up so, after a season and a half, he returned on loan to Rapid, to play here a few months. 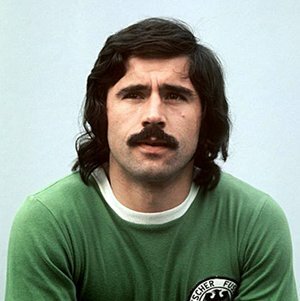 He was the best player by far, but his three goals helped Rapid to win only seven points, not a qualification in the European Cups. Cristi was also the best man in the matches against Steaua, 5-1 and against Dinamo, 2-2, both held on home soil. A special story is around the game with Steaua from April 2010. 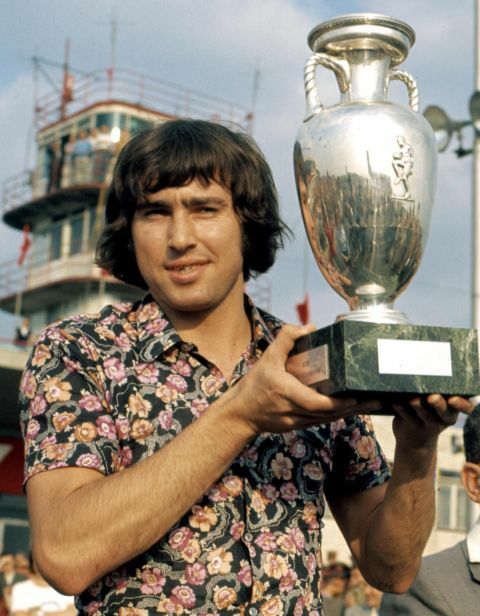 With a day earlier, Sandu Neagu, one of Rapid’s legendary players passed away and all Rapid’s players dedicated him the 5-1 success against their rivals. But Săpunaru did more than that, because of the close relationship that he had with Neagu. Some time ago, it looks like Sandu gave Cristi his Romanian champion medal from 1967. So, Cristi suffered the most when Neagu died and decided to help his family. Especially Robert, his five year child, who wants to become also a footballer. Knowing all this, you may realize now that the cherry foulard around the arm was a natural gesture, a gesture imposed by Săpunaru’s big heart. 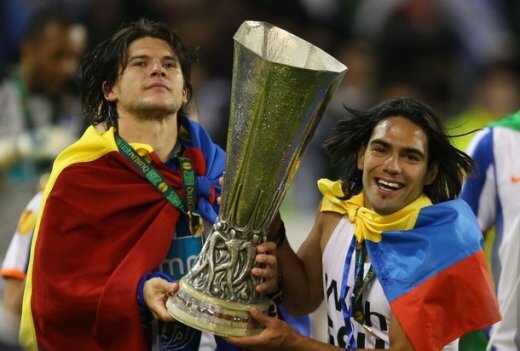 And if you think that this is the only extravagant thing that he did in connection with Rapid since he plays for Porto, you are wrong, and a witness in this case can be Beto, the former Porto substitute goalkeeper, now playing at CFR Cluj. He was the room mate of Cristi for a while and now, arrived in Romania, he had say what was the only thing that he bothered him when he was in the presence of the defender: Săpunaru was listening loudly, all day long, in his room, at Rapid Bucharest’s official anthem! And guess what? 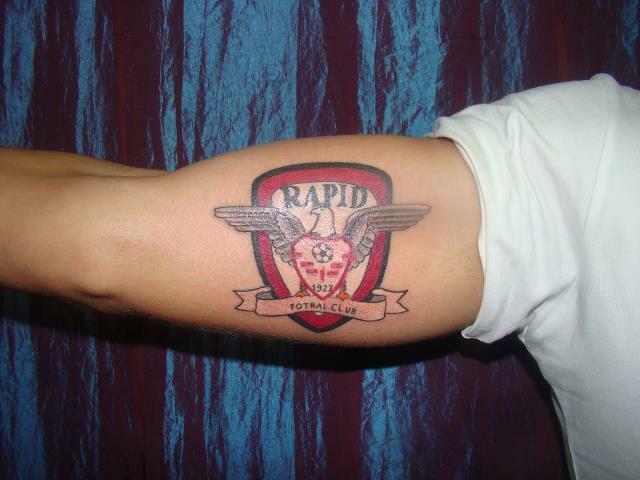 Săpunaru made recently a tattoo on his right arm that proves once more his unconditionally love for one beautiful and unique club, Rapid Bucharest. 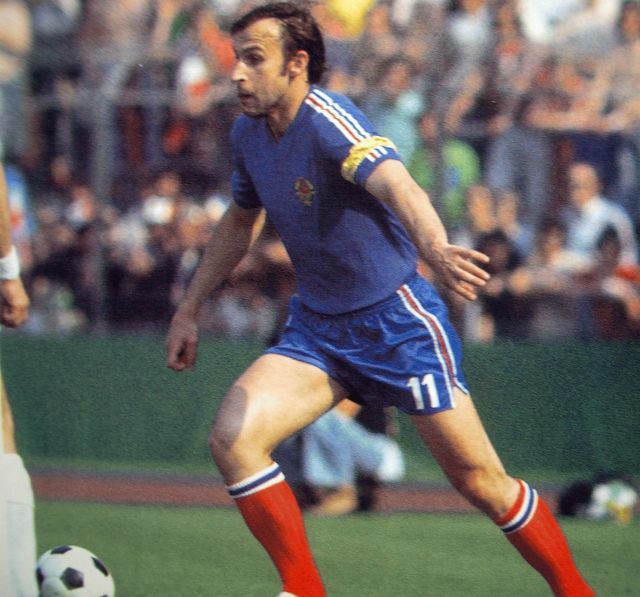 Quevilly surprised everyone as they qualified in the French Cup final, after beating with 2-1, Rennes, in the last second of the match from the semifinals. The surprise was so huge, because the defeated squad occupies a first half spot in Ligue I, meanwhile, Quevilly struggles on 14th place in the third tier! But they made it in the final and might play in the Europe League, if Lyon, the other finalist will qualify for the Champions League. 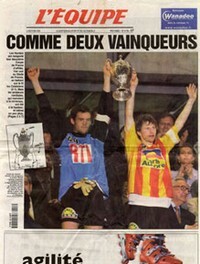 This is a ‘must have’ condition only if Quevilly won’t eventually win the trophy. And they should try hard to reach the cup, because, this may be a once in a life time chance for a team that plays mainly in lower divisions. 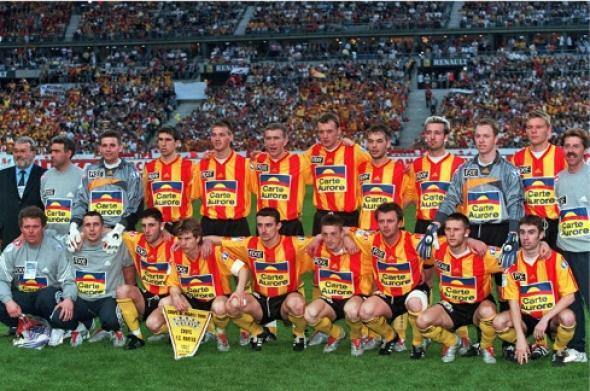 Still, for Quevilly will appear for the second time in their history in the final of Coupe de France, after the 1927 edition, when they lost 0-3 against Olympique de Marseille. 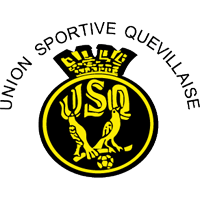 But now, we won’t talk too much about Quevilly, because the team founded in 1902, but never recognized as a professional club still, has one step to take to be covered by glory. Until then, we will throw some words about Calais RUFC, the only club from the fourth French tier to ever reach a Cup last act. And it didn’t happen too many years ago. 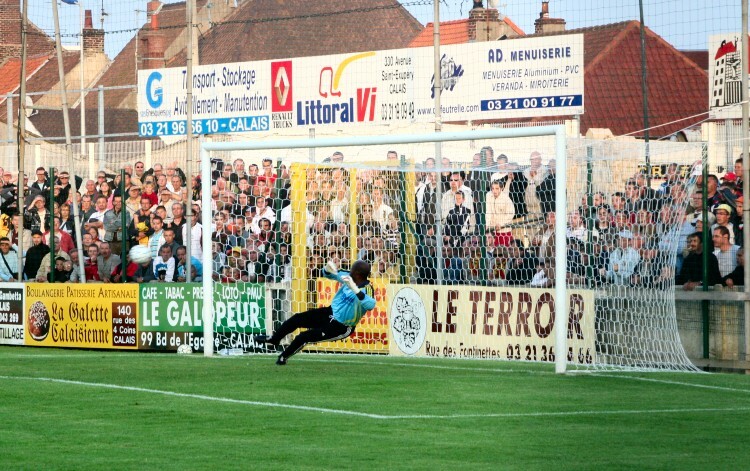 Calais was founded in 1901 and 99 years after, yes, in 2000, they missed by a whisker a historical trophy, as they lost the final against FC Nantes, in the last minute. 2-1, after they led the Bretons with 1-0 until the 50th minute. 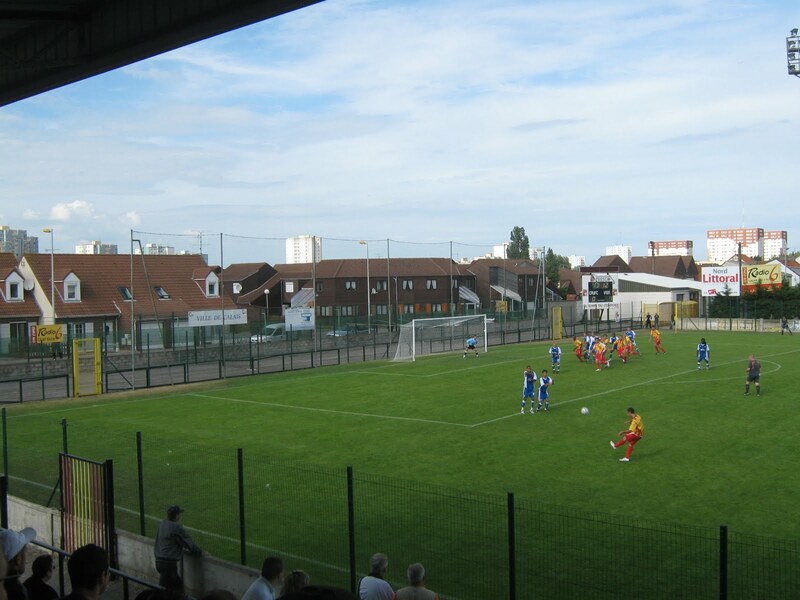 Calais started very early the competition and the first game came against Campagne-les-Hesdin from Division 1 Departamental (eleven tier), in the fourth round. Gerard (3), Dutitre (3), Rioust, Hogard, Boulanger and Vermandel, secured an crushing 10-0 away victory, with five goals in each half. 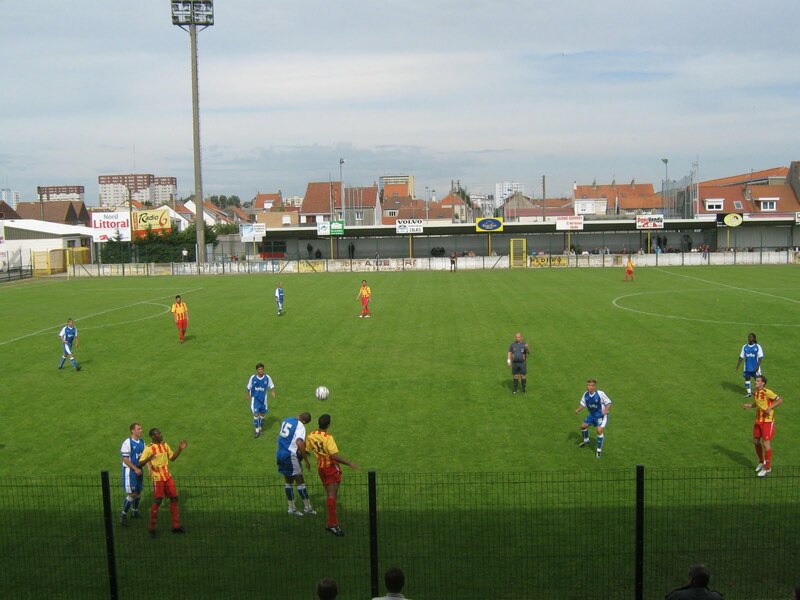 Well, nothing quite unusual and so an away match at Saint-Nicolas-les-Arras was about to go. The team from Regional League rose some problems, but three goals in the first half, from Jandau, Gerard and Becque, solved another equation: 3-1 win and qualification to the sixth stage of the competition. Here, another longed-name team was expecting, but this time for CFA2, which means only one level less than the one in which Calais was playing at that time. A tight encounter, but the victory was on the visitors side, thanks to Gerard and Dutitre, which were the men to overpass Marly-lès-Valenciennes with 2-1. Mission completed and this meant the first match one home soil. The opponent, Bethune, was also from CFA2, and raised serious difficulties, but Dutitre, kept his calm and with a goal in the last minute of the first half, secured a final 1-0. The 8th round also brought the first adversary from CFA, exactly the same level of Calais. 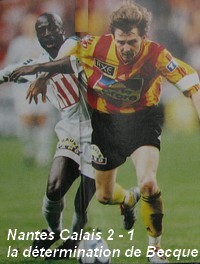 And when everybody expected a very tough and rough dispute, Calais surpassed with a crushing 4-0 over Dunkerque. Baron with two goals in the first ten minutes, Gerard and Hogard made it all very easy. The 1/32 phase was coming and here, the little team held Lille, then in the second tier, in a 1-1 tie after 120 minutes, thanks to a piece from Cygan in the 68th minute. After, they executed them at shoot out with 7-6 and gained the right to play further against Langon-Castet FC, from the fifth league. Considering this, Calais shouldn’t have any problems and they didn’t as they beat the opponents with a convincing 3-0 (Gerard (2) and Dutitre). 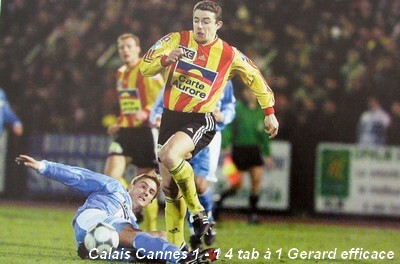 Now, the round of 16 was on its way, and Calais was going to face another second division side, AS Cannes, but their big advantage was, once again, the home soil, on which they also played the previous two games. 1-1 after 120 minutes again, with Hogard equalizing in the 118 minutes, but a different scenario from the spot. Calais won 4-2 and pushed through the quarter finals, was, finally, a first league team stepped on their way: RC Strasbourg. It looked like the end from the point of view of many specialists, but Calais continued with the big surprises. And now, the victory came in the regular time, as the hosts shocked by putting an incredible 2-1, which qualified them for the first ever Cup semifinal. Once again, Hogard was the hero, but this time alongside with Merlen, both scoring in the first half. 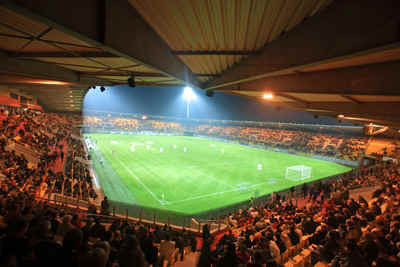 Bordeaux was expecting, but fortunately for Calais, they match was going to be held by the stadium from Lens, so they had some support from the crowd. 0-0 after 90 minutes and the stoppage time was about to come. 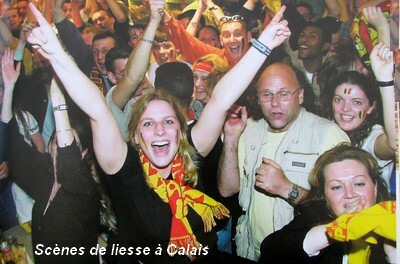 It came, and another history was written by Calais’ players during only a half an hour. Jandeau made it 1-0 in the 99th minute, but Lilian Laslandes equalized in the 108th minute, so it seemed like the game was reaching the penalty kicks. When most believed less, Milien (113) and Gerard (119) hit an incredible 3-1 win, which assured Calais the final, a last act played against FC Nantes, on Stade de France, in front of 78.586 spectators! The audience didn’t make the amateur players nervous and they opened the score in the 34th minute, when Dutitre surpassed the opposite captain, Mikael Landreau. 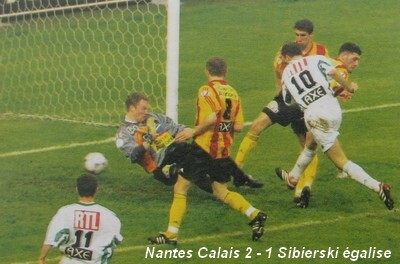 The miracle was about to fulfill, but in the second half, FC Nantes settled the balance evenly, as Sibierski scored in the 50th minute, before Caveglia gave the decisive hit, in the last minute. 2-1 and so a dream, a very beautiful one, came to an end. It was that kind of dream which you have, you enjoy and when it nears to its final, you wake up and realize that this wasn’t real World. For Calais was more than a dream, but an incomplete dream, one ended in a little nightmare. How can you call, if not like this, a goal conceded in the last minute? 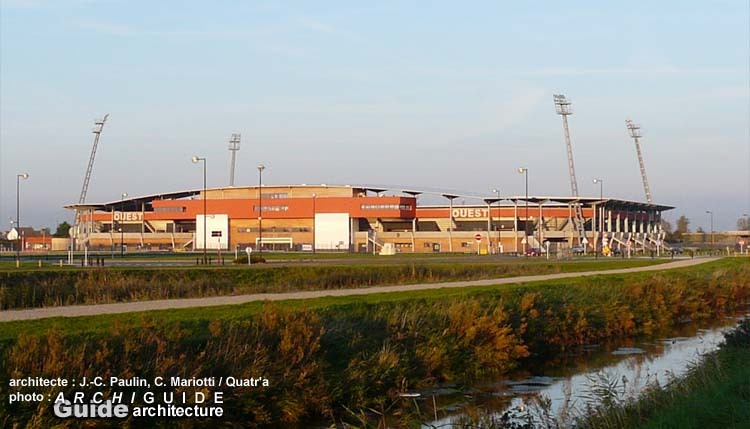 The Calais people named this an ‘Epopee’ and they wanted to mark this by giving the name to their new stadium, inaugurated in 2008. 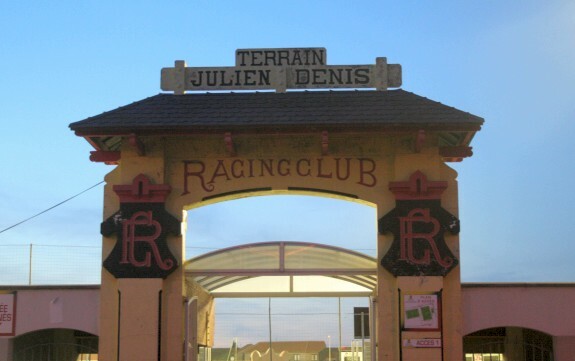 From 1958, for a half a century, Calais played their home games on a small arena, called Stade Julien Denis. 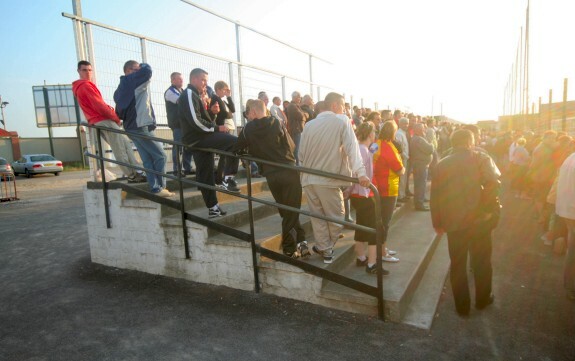 Only 2.100 spectators could be held by this location, from which only 742 could get access to a sit. 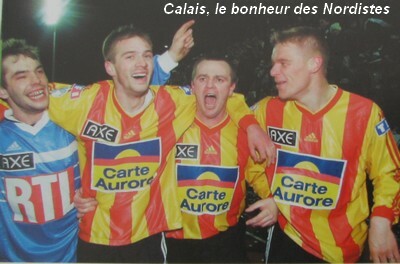 So, after the performance from 2000, a thing was clear: Calais must have another, more modern, home base. And so, Stade de l’Epopee was built. 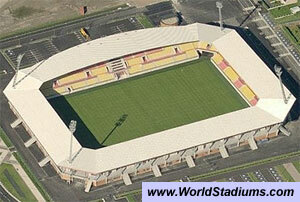 With a new capacity of 12.432 places, the costs for the stadium rose up to 22 million euro. 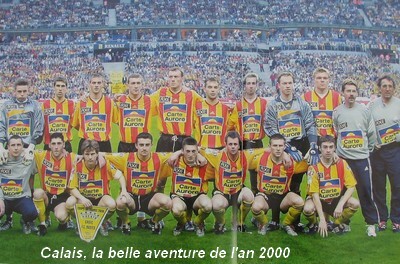 First match, on 27th of September 2008, against Laval, in the 9th day of CFA2, gathered 11.825 spectators, which still remains the record. Unfortunately, after a white draw at half time, the visitors came very confident from the dressing rooms and ruined the local celebration, by putting in four goals. So it was 4-1, eight years after the miracle from Stade de France, and the Cup final against Nantes, looked in a very far past, even though less than a decade passed.